Assembly and deposition of amyloid ß-protein (Aß) is an invariable and fundamental event in the pathological process of Alzheimer’s disease (AD). To decipher the AD pathogenesis and also to develop disease-modifying drugs for AD, clarification of the molecular mechanism underlying the Aß assembly into amyloid fibrils in the brain has been a crucial issue. GM1-ganglioside-bound Aß (GAß), with unique molecular characteristics such as having an altered conformation and the capability to accelerate Aß assembly, was discovered in an autopsied brain showing early pathological changes of AD in 1995. On the basis of these findings, it was hypothesized that GAß is an endogenous seed for amyloid fibril formation in the AD brain. A body of evidence that supports this GAß hypothesis has been growing over this past 20 years. 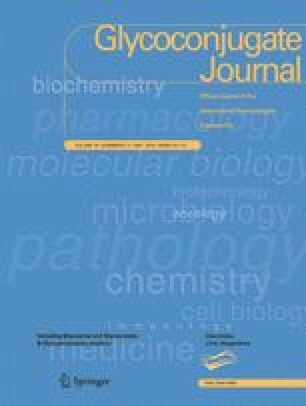 In this article, seminal GAß studies that have been carried out to date, including recent ones using unique animal models, are reviewed. This work was supported by the Research Funding of the Longevity Sciences (25–19) from the National Center for Geriatrics and Gerontology. The author declare that he is free from conflict of interest.